Do you live in the London area or do you know anyone living in the London area? Lieberman is a vicious thug who has to meet in secret to avoid protests against Israel’s disgusting crimes. The JNF’s hosting of Lieberman reveals their commitment to the Israeli government’s racist policies of ethnic cleansing & house demolitions. Since 1901 the JNF has been financially supporting the Zionist project of colonisation, apartheid & occupation in Palestine. Despite the JNF’s activities within Israel’s state structures it enjoys charitable status in the UK and tax breaks on donations. Seventy MP’s recently signed an Early Day motion calling for this situation to end. 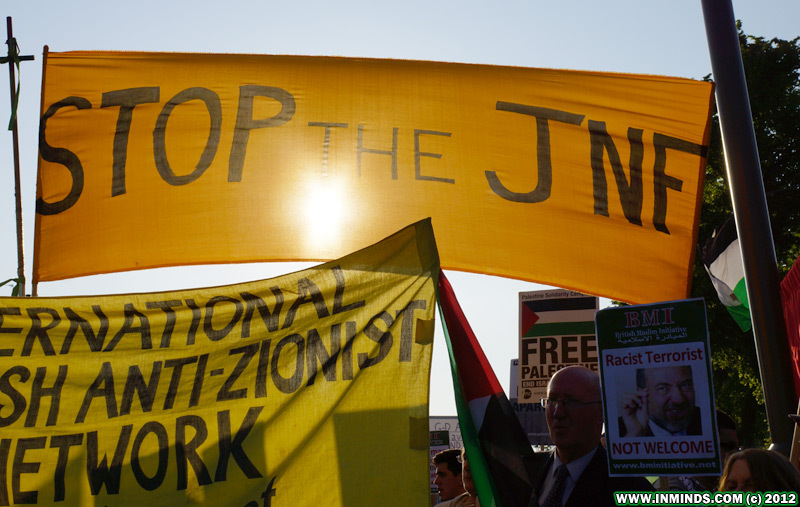 Last week the Scottish TUC joined Friends of the Earth & the Green Party in condemning the actions of the JNF; it is now time for the Charity Commission to act. Until they act, it is up to supporters of Palestinian human rights to actively oppose the racist JNF.